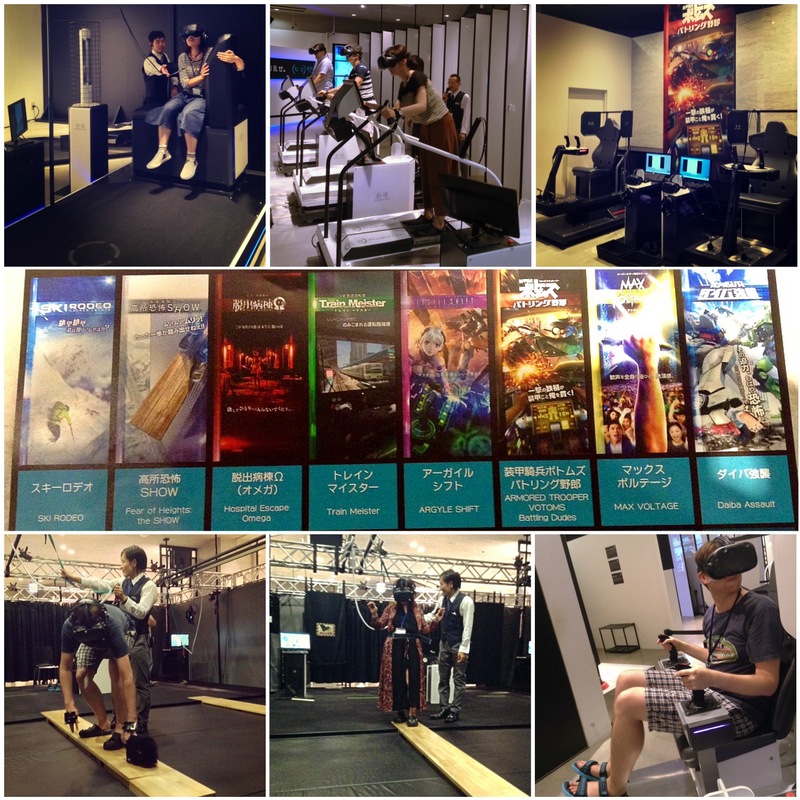 VR Zone 'til mid October, 2016 in Odaiba!! ...from riding in Gundam's hand while he fights an evil-bot, skiing, flying a fighter jet robot shooting mechs (with an anime girl in a boobie corset shouting encouraging words), to rescuing a wee cat 200 meters above ground (super real with wind)!! Possibly nausea-inducing but very cool :D More games than PS4's VR experience but it's 700-1000 yen per game (6-12 mins each). Can reserve a 90-min slot here.